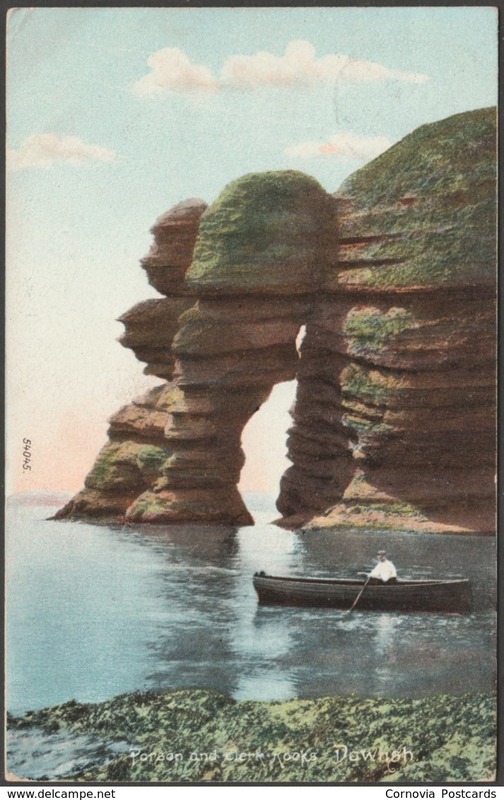 Printed colour postcard showing a view of the Parson and Clerk Rocks at Dawlish in Devon. Published by F Frith & Co Ltd, Reigate, Frith's Series, No 54045, photo registered in 1906. 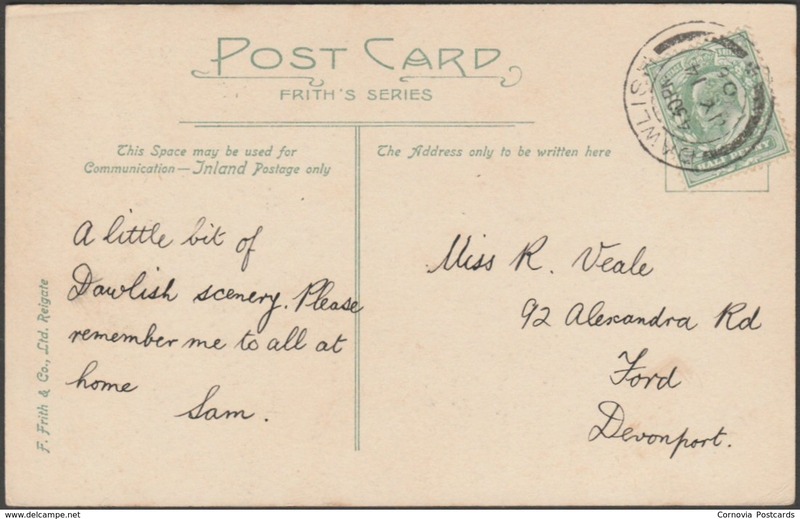 Postally used on 12 July 1906 with double circle Dawlish cancellation on green halfpenny stamp and sent to Miss R Veale, 92 Alexandra Road, Ford, Devonport.